Alice Mercer is entering her second season as an assistant coach at Niagara. One of the most accomplished defenders in the NCAA from 2013 to 2016, Mercer helped the University of Maryland Terrapins to four regular-season conference titles, three conference tournament titles, four NCAA Championship game appearances, and two NCAA Championship wins. In her Maryland career, Mercer totaled 109 ground balls, 72 caused turnovers, and 53 draw controls. 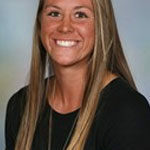 Mercer’s list of individual accolades includes two NCAA All-Tournament honors, three first-team all-conference honors, and numerous conference and All-American honors from the IWLCA.